Bringing you the best of the outdoors. 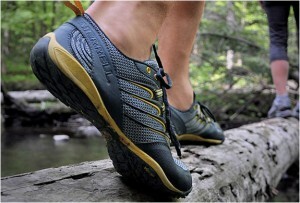 Backpacking footwear is a highly debated topic, in which many people have opinions about the best shoe for hiking. The reality is that everyone likes a different shoe. Here are some of the most popular options for footwear. Traditional hiking boots are still widely used for backpacking, but many consider this option as too heavy for and Ultralight hiker. The rule “an ounce on your feet is a pound on your back” certainly does apply here. These shoes are probably the most durable out of any of the options I will write about here. I have found that most of the boots advertised as “waterproof” usually only stay dry for a little while. Boots do provide the most ankle support as well, but these benefits do come at a price, which is the weight of the boots. I have found that vibram soles are often the ones that last the longest. Trailrunning shoes have gained much more popularity recently, and it is more and more frequent for thru hikers to wear them. They are lightweight, relatively durable, but do not provide as much ankle support or in some cases traction as boots do. These are a great option for someone who is looking for an alternative to a heavy boot. I have lately seen a lot more people wearing running shoes while hiking. 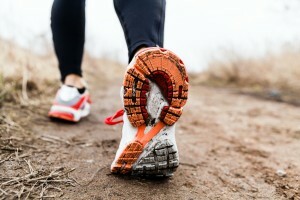 Running shoes are very convenient, as many stores carry them. 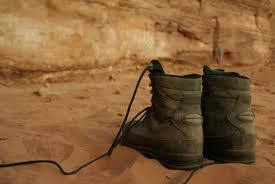 While few people wear them, I have never ran into someone who does not like them for hiking. They are very lightweight, but lack durability, ankle support, and in some cases, traction. Enter your email address and receive new posts and other content like recipes, reviews, and videos by email.